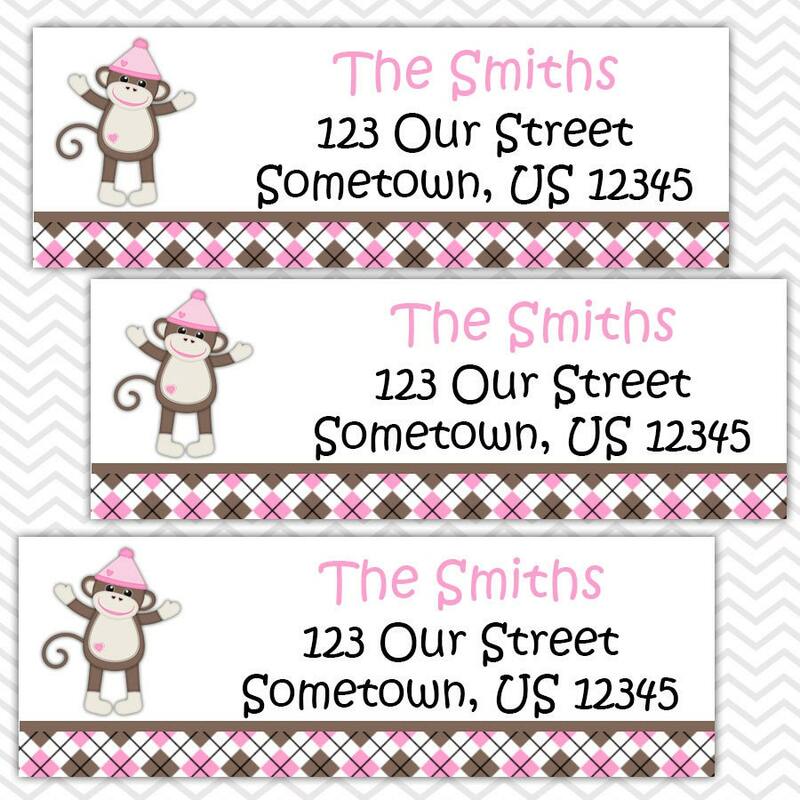 These Sock Monkey address labels are the perfect way to personalize your envelopes. 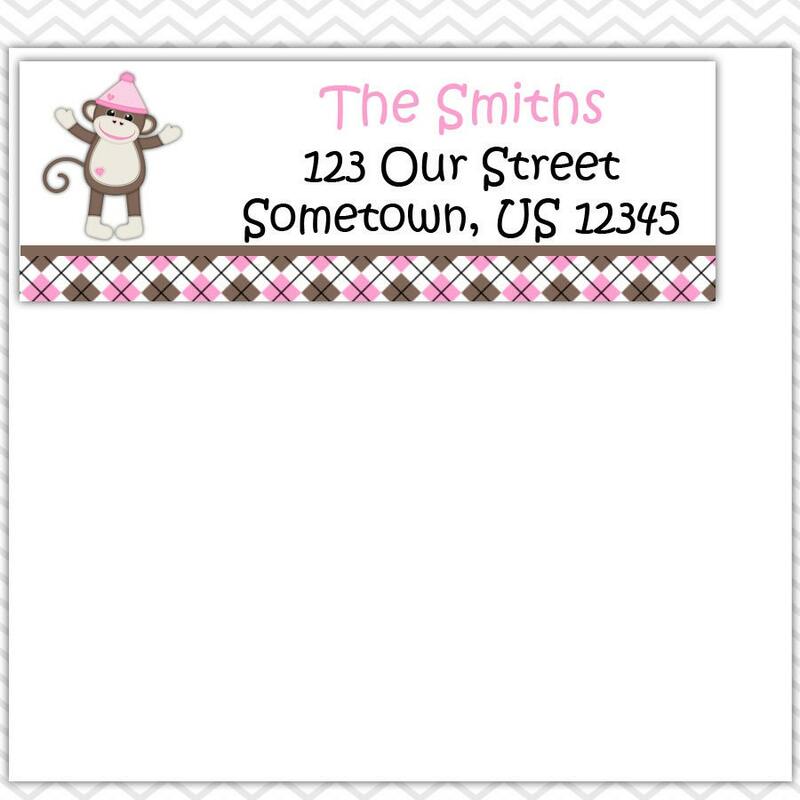 This listing is for one sheet of personalized address labels. * They are laser printed on a high-quality matte sticker paper, ready to peel and stick. 2. If you need to have the colors changed to match your special event. Proofs are sent upon request. I require 2-4 days to print, package and ship your order. Please also allow an appropriate amount of time for delivery by mail. Prefer to print these yourself? Send me an email and I can setup a custom listing for you so that I can personalize these and send you a PDF file for you to print. NEED THEME STICKERS, TAGS, CUPCAKE TOPPERS, or DIY PRINTABLES?